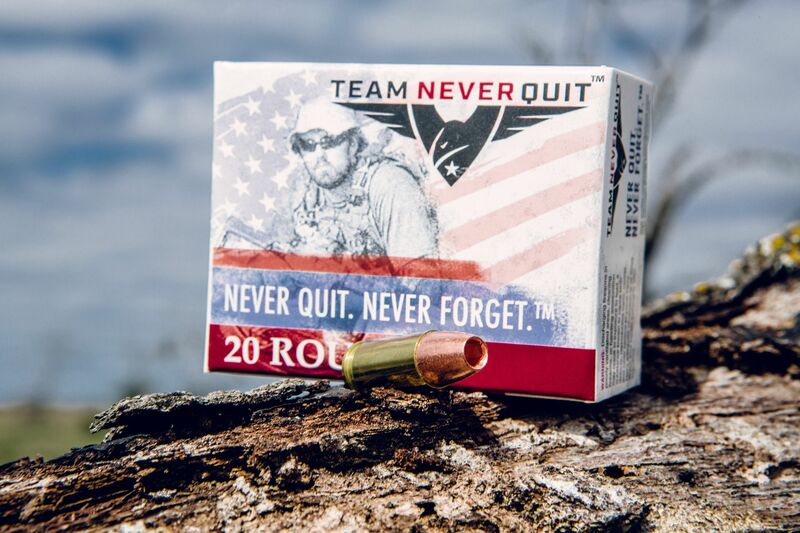 Team Never Quit has partnered with Snake River Shooting Products to bring to market a bar setting line of ammunition products. The line provides solutions for every type of shooter to include dynamic training, hunting, self defense, match grade competition, and reduced ricochet technology all encompassing the mantra to Train. Hunt. Defend. TNQ also offers US made bagged reloading brass in the most popular calibers! TNQ ammo has been featured on The Blaze, Shooting Illustrated, Tactical Weapons Magazine, Warrior Talk Radio, God and Guns Podcast, VFOB Radio, Gunbroker’s FFL UInleashed, NRA’s Cam & Co, and many other great media outlets and can be found in many dealerships around the country! Check out Snake River Shooting Products for more information and a list of locations to purchase!